Working students, a growing but previously overlooked audience, now have a book that meets their special concerns. 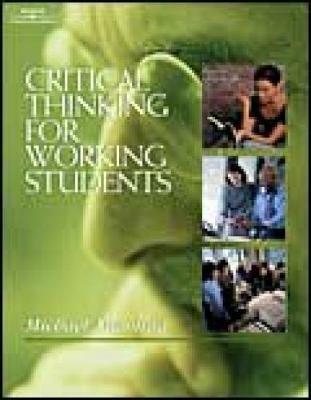 Critical thinking skills, crucial to success in the 21st century, are taught through concrete examples and exercises that relate to real employment conditions and adult situations. The book speaks directly to the interests and experiences of working students, offering clear applications to their lives in and out of the workplace. Case studies allow you to use your new skills by solving problems "from scratch." Written in an interesting and friendly style, it helps you enjoy what could be an abstract and dull subject and lays the groundwork for life-long learning.